Ganja Mall Cinema presents a premiere of another interesting film as every Thursday. 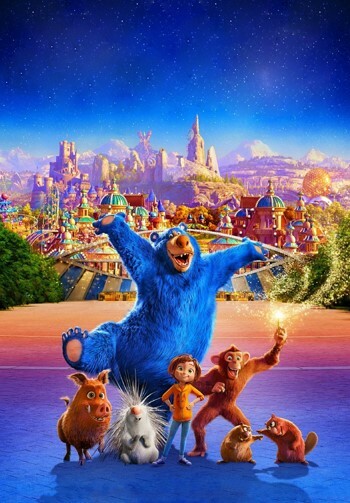 You can watch the movie "Wonder Park" in Ganja Mall starting from 21st of March. Wonder Park tells the story of a magnificent amusement park where the imagination of a wildly creative girl named June comes alive. One magical day, June is running through the woods to find her way home where she discovers an old roller coaster car and climbs inside. She suddenly finds herself in Wonderland, an amusement park she had created in her mind and put aside. All of her rides and characters are brought to life but are falling into disarray without her. Now, with the help of her fun and lovable park characters, June will have to put the wonder back in Wonderland before it is lost forever. Visit to Cinema Plus Ganja Mall to watch the movie starred by Mila Kunis, Jennifer Garner.